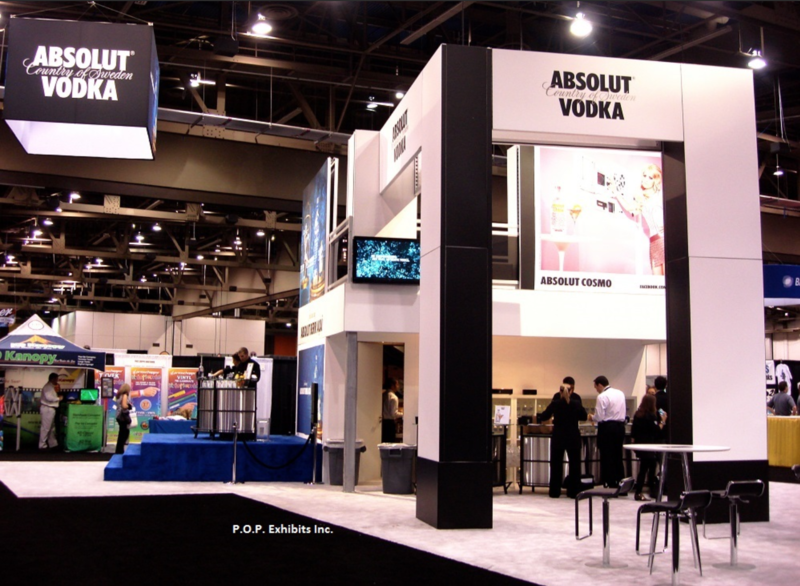 From a 10×10 to a large Custom Island or Double Deck Exhibit, we have you covered with our Trade Show Exhibit Rental Program. 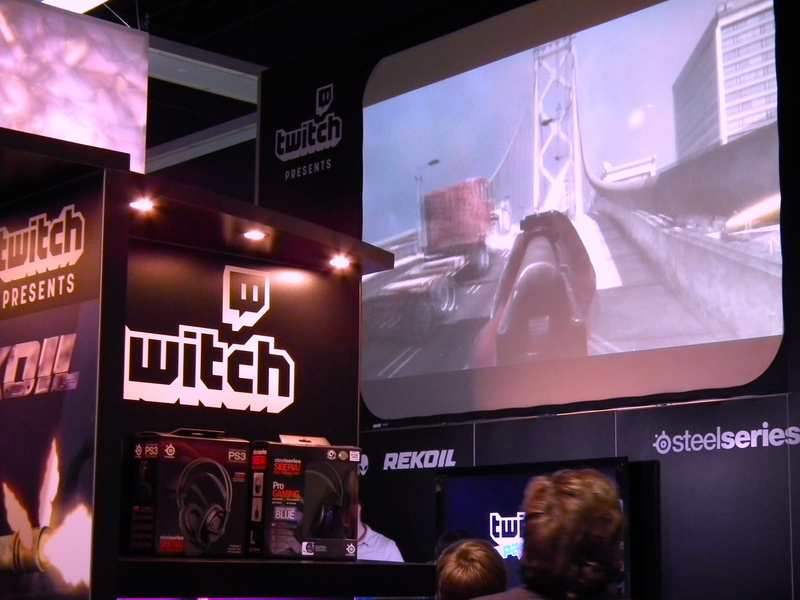 The sky is the limit in terms of booth size and design. We’ll walk you through the design process by providing renderings and graphic sizes. We provide guaranteed pricing that includes shipping, Installation & Dismantling. You won’t have to worry about any surprise billings. You can view our pre-designed kits in a variety of sizes and check out our custom designed rentals in our portfolio. There’s a lot that can be done with a 10 x 10 Exhibit Rental despite the obvious size limitations. 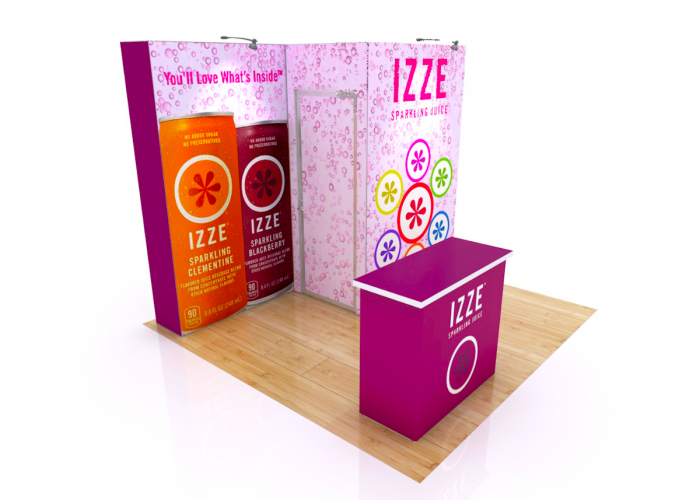 We’ll work with you to create an eye-catching 10 x 10 Exhibit that will help you stand out at your show! We have a wide selection of 10 x 20 inline designs to suit every need. Turnkey rentals start under $5k and include shipping plus I & D. View over 20 designs and customize as needed. 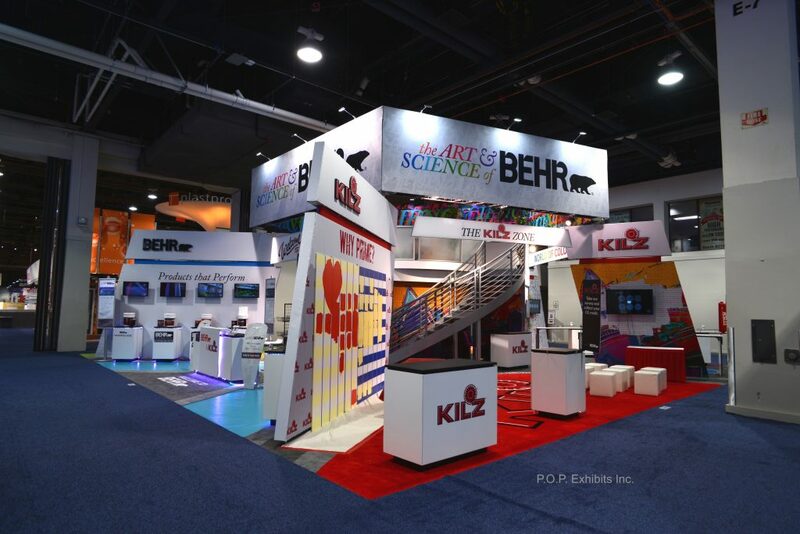 The sky is the limit with island exhibit designs. 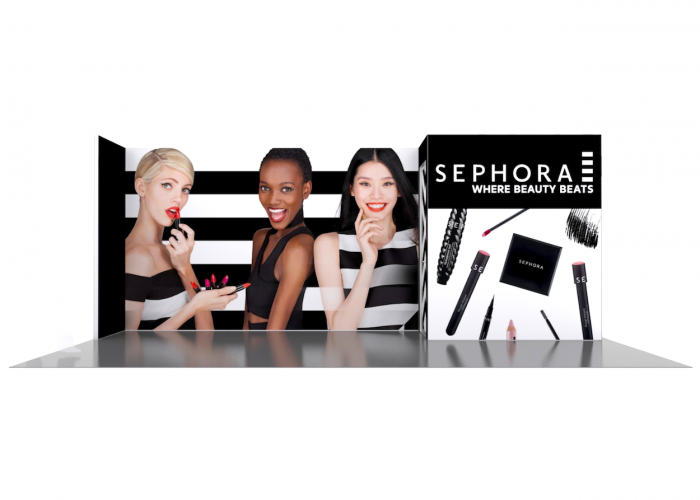 We have a number of pre-designed kits but prefer to custom create something that will work perfectly for your company. View our Portfolio to see some stunning island designs we’ve created. Interested in renting a Double Deck Exhibit? Double Decks cost less than you might think, and can fit in as small as a 20×20 space. They make a huge impact on the show floor and provide valuable privacy for meetings upstairs. Watch our video to find out more, or give us a call! We've worked on a lot of beautiful projects over the years. See images of some of our favorites. Shipping– we’ll handle this for you for a guaranteed price. 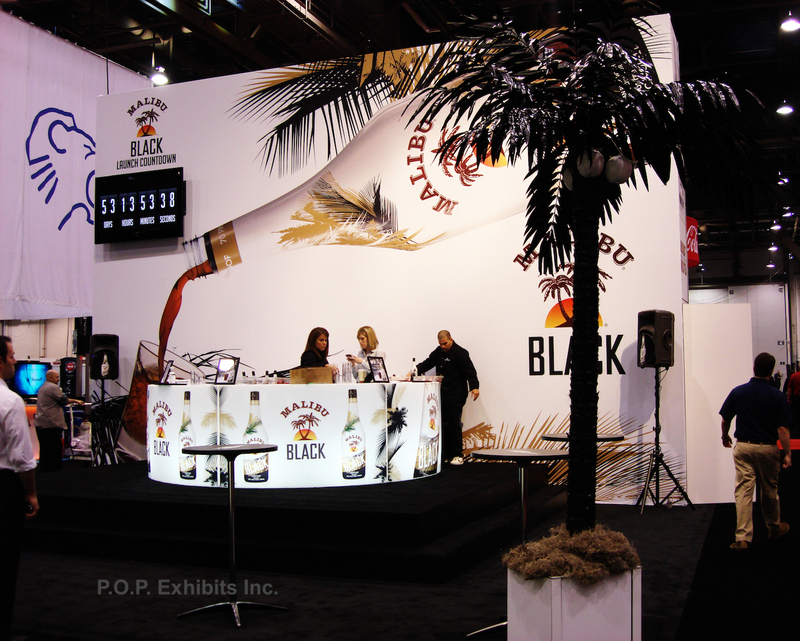 Labor– our pros can set up your booth quickly and efficiently, often before you even arrive at the show! Because our team is experienced at setting up our rentals, we’re able to guarantee your labor cost. Storage– purchased booths need to be stored somewhere between shows. Save on Graphics. If you re-use the same rental for multiple shows, we can store your graphics for free, saving you storage and reproduction costs. Our knowledgeable staff are able to help solve problems that can arise on the show floor. Sometimes things come up that are out of anyones control, but having someone with experience and the tools to help can make a huge difference. Your time is valuable! Don’t waste it having to figure out for yourself how to arrange things like booth transportation, show orders, installation and dismantling, etc. Trade shows can be confusing and frustrating (Sometimes even for the pros!). Our knowledgeable staff can help walk you through your questions. Set-up. Oftentimes, our staff is able to set up your booth before you’ve even arrived, so you can just show up and begin prepping for the show! 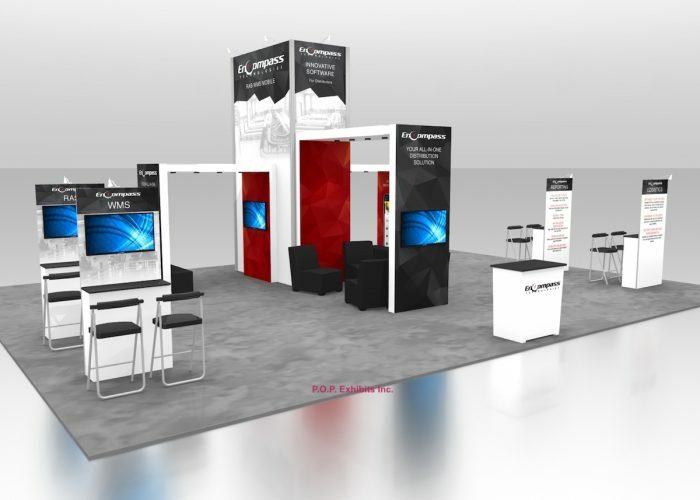 Does your Booth Size change? If your booth size changes from show to show, purchasing a booth doesn’t always make sense. We can customize your rentals for each show so that your look is always fresh. Renting your display is also good for the environment! Burn Less Fuel: Our inventory is stored in the major venues, reducing the use of fossil fuels and the harm burning them does to our environment. Reduce Waste through maximum usage: Our rental inventory is flexible enough that the same parts get used many times over each year. Since transportation is reduced (that’s where most damage occurs), the damage is reduced. This keeps our inventory looking new for longer! Reduce Waste through refurbishment: Our counters consist of a steel frame with fabric and laminate finishes. We replace the exterior visible surfaces as necessary, keeping the inventory looking fresh while re-using the frames for many years.